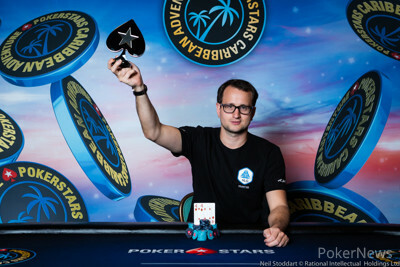 After finishing in fourth place yesterday in the first $25,000 Single-Day High Roller, Rainer Kempe was now victorious in the 2019 PCA $50,000 Single-Day High Roller, defeating Alex Foxen heads-up and claiming the first-place prize of $908,100 here at the Atlantis Resort. Kempe has now cashed for over $1,000,000 over the past two days which is a great start to the year for the well-known and well-liked German High Stakes regular. Kempe’s cash in this tournament is also his third biggest ever and the biggest ever in a PokerStars event. The tournament, with an unlimited reentry possibility during the first eight levels, attracted 64 entries in total which included 29 reentries creating a total prize pool of $3,104,640. Nine players would be in the money for at least $90,040. 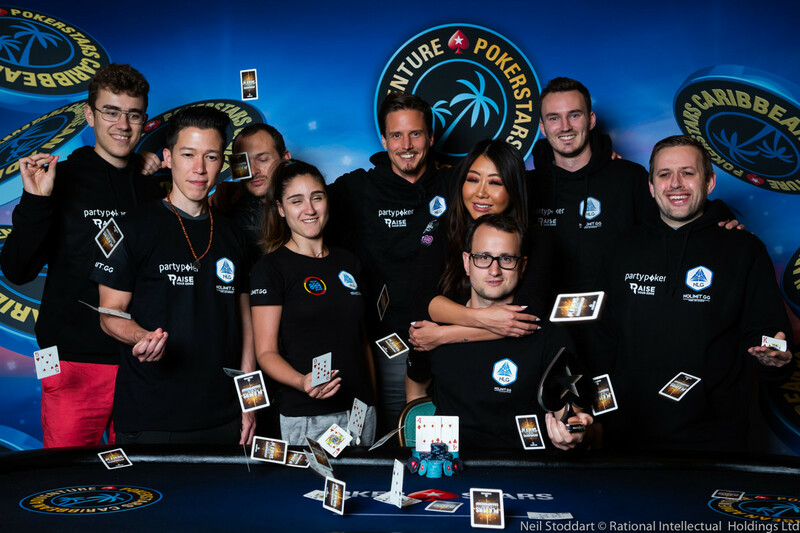 The star-studded final table also included Stephen Chidwick, Daniel Dvoress, Christoph Vogelsang, Evan Mathis, Steffen Sontheimer, Bill Perkins, and Jason Koon. 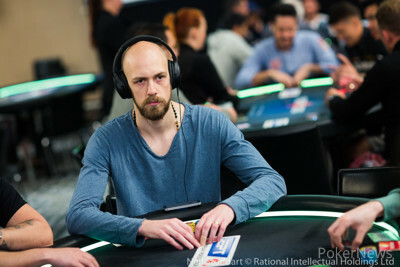 The day started with many familiar faces taking their seats, players like Dominik Nitsche, Joe McKeehen, Timothy Adams, Isaac Haxton, Jean-Noel Thorel, and Nick Petrangelo all jumping in during the first level. Players kept registering and by the time the first break came around, 36 players were already registered. 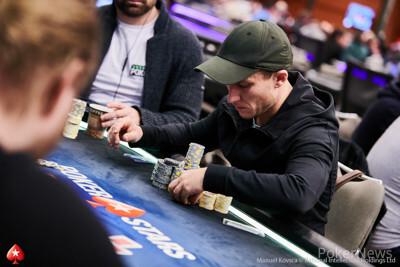 David Peters was back in action after a late finish and was eliminated on his first bullet by Ivan Luca when he ran his king-eight, after having flopped top pair, into the pocket rockets of Luca. Peters did better on his second bullet when he took out Benjamin Pollak with only three tables left in the field. But Peters was next to go when he was sent to the rail by Adrian Mateos who had flopped a flush. The eliminations and double-ups kept coming and going. Steve O’Dwyer, Andras Nemeth, Adams, Christopher Kruk, Nitsche, and Thorel all busted before the final two tables were reached. All sixteen players would go into the dinner break with some of them knowing that something good needed to happen after as they were short. Sontheimer found a double through Foxen, leaving Foxen behind with just under eleven big blinds. Mikita Badziakouski fell to Kempe. Foxen then went on a whirlwind of a ride, he first doubled through Sontheimer, then through Dvoress, and later on, he busted Luca. Chidwick took out Michael Soyza and Henrik Hecklen busted Chris Hunichen in the meanwhile. Chidwick halted Hecklen and hand-for-hand play would commence with eleven players left. 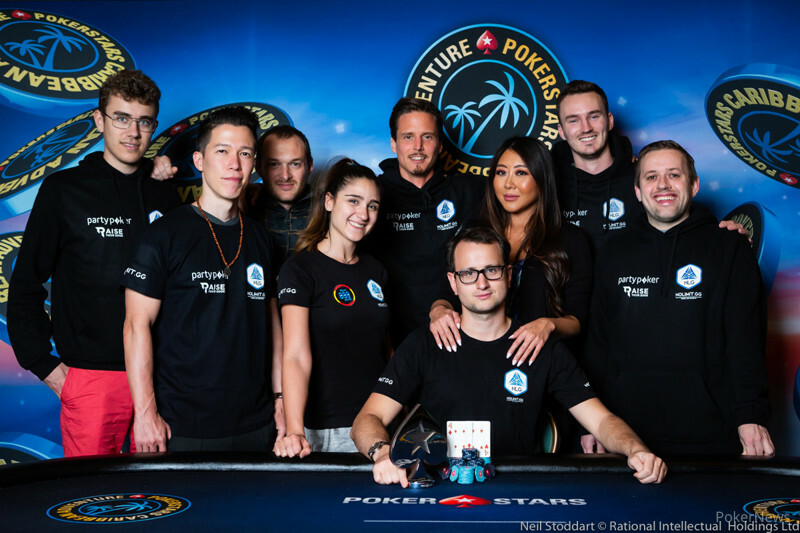 The PokerStars Team Pro, Igor Kurganov put his last eight big blinds in with pocket fours and was called by Vogelsang who held ace-nine and rivered a wheel to send the Team Pro packing. Mateos would eventually end up bubbling when he shoved nine big blinds with ace-nine and was called by Sontheimer who held pocket aces. The final table started with three players with less than ten big blinds and Vogelsang and Foxen with around half of all the chips in play. The all-ins and calls kept flying around with Mathis, Sontheimer, and Dvoress all doubling in the first thirty minutes of the final table. Koon would be the first to go when he shoved with aces on the eight-trey-ten flop and was called by Vogelsang who held pocket jacks. The jack on the turn dealt Koon a huge blow which he couldn’t recover from. Perkins packed his bags next when his queen-nine couldn’t beat Foxen’s ace-nine. Sontheimer stepped out with ace-seven against Foxen’s ace-six as Foxen flopped a pair of sixes. Mathis had two pair with eight-seven on the seven-ace-eight (all clubs) flop and four-bet shoved against Foxen. Unfortunately for him, Foxen had the flush and no help came for Mathis on the turn or river. Vogelsang had lost a big pot to Foxen who seemed unstoppable, then doubled up Dvoress, and was left with less than 1 big blind. He got it in with ace-jack but Foxen’s seven-trey managed to find another seven on the flop to take him out in fifth place. Kempe was down to only four big blinds when he found a double through Foxen with pocket eights and through Dvoress with ace-nine. Chidwick doubled shortly after with aces through Foxen before Dvoress was done in by Foxen. Dvoress had pocket sevens but Foxen managed to flop two pair with king-six. Chidwick took over the chip lead when he rivered a flush against Foxen but most of those chips were sent Kempe’s way when he doubled up again with pocket eights. Chidwick was sent to the payout desk for his third-place cash when he ran his ace-queen into the ace-seven of Kempe who managed to flop two pair. And only ten minutes later, the tournament was over when Kempe three-bet-shoved with pocket fours and was called by Foxen with ace-queen. Not much danger on the board as it was run out and after counting out both of their stacks, Kempe had Foxen covered by 80,000 and could claim the win! Kempe’s rail all congratulated him for his comeback and celebrated quietly with him. A winner picture with the trophy and his friends will be taken later this week. Kempe and Foxen are expected to return to the felt tomorrow, Thursday, January 10, to play in the $100,000 PCA Super High Roller and the PokerNews live reporting team will be on hand to bring you all the action all throughout the PCA! Rainer Kempe called on the button and Alex Foxen raised to 415,000. Kempe glanced at Foxen and then decided to shove while their stacks were pretty even. Foxen snap-called. The flop came for Foxen to pick up the backdoor flush draw. "Eight of diamonds!" Foxen commented for the flush and straight draw. The turn was the to give Foxen a flush draw indeed but the on the river didn't give him that. The dealer counted out their stacks and determined that Kempe had 3,190,000 behind while Foxen held 3,110,000. As Foxen was covered, Kempe had just eliminated Foxen in 2nd place for $651,980. Kempe claims the first-place prize of $908,100 and the beautiful trophy. Stephen Chidwick raised from the small blind and Rainer Kempe shoved in the big blind. Chidwick called for the 640,000 he had behind. The board ran out for Kempe to flop two pair instantly to eliminate Chidwick from the tournament in 3rd place for $423,780. Rainer Kempe raised on the button and Stephen Chidwick put him all-in from the big blind. Kempe called for the 1,485,000 he had behind. The board ran out for Kempe's pocket eights to hold and double up. Stephen Chidwick raised to 175,000 from the button and Rainer Kempe shoved after confirming the amount with the dealer. Chidwick called. The board ran out for Kempe to make trip jacks on the turn to double up for the 650,000 he had behind. Alex Foxen completed his small blind and Stephen Chidwick opted to check his big blind. The flop came , Foxen bet 60,000 and Chidwick called. The turn brought them the , Foxen now check-called the 115,000 bet of Chidwick. The river completed the board with the , Foxen bet 295,000 and Chidwick tanked, using a time bank card, and then decided to raise to 1,100,000. Now it was Foxen's turn to tank but he used two time bank cards. Foxen then made the call and mucked when Chidwick tabled for the rivered flush. Alex Foxen raised from the button and Daniel Dvoress shoved for 455,000 in the big blind. Foxen called. 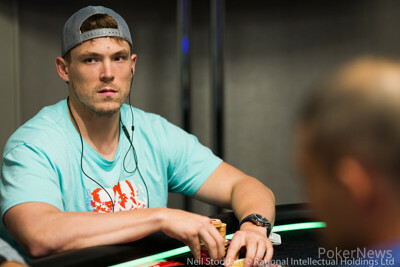 The board ran out for Foxen to flop two pair to eliminate Dvoress from the High Roller in fourth place for $319,780. The $50,000 Single-Day High Roller Kicks Off at 12:30 PM.